Goods Landscaping & Water Deliveries can deliver. Looking to order water to your house or business? If you can’t come to us, our trucks will deliver to you. We are a family run business with 30 years experience. Our reputation is built on friendly advice, great service, and competitive prices. For orders large or small contact us today. Thirty years ago Garry Good wanted to do some work on a shed he had on Lewisham Scenic Drive. He had a pile of gravel behind the shed. Soon someone asked him if it was for sale, and from this simple beginning, we have the local institution of Goods Landscaping & Water Deliveries. After thirty years of serving the area Good’s Landscaping is still a family business, now run by soon and Tony and his wife sally. Proud sponsors of the Dodges Ferry Sharks football team, Good’s offer a range of landscaping supplies and more. I stopped in their yard to have a chat with the husband and wife team. What seems a small site from the street is actually quite large when one drives past the gate. Able to supply large orders for tradies, Goods does not neglect to fill small orders of DIY renovators and backyard gardeners. The large yard is a gardeners playground with various types of decorative gravels and sands; pine bark, loam, mulch, concrete mix and more — just about everything a landscaper would need. As a family run business with years of working with local conditions Goods can offer friendly advice, great service and competitive price. As a Health Department Approved supplier they supply drinking water 7 days a week. They are also one of the companies that does tank cleaning, an often overlooked, yet important service. Like many of the water carriers, they were busy with the fires and post-fire cleanup supplying water to those affected, allowing emergency vehicles to refuel at their depot. As a sign of the work put into this business, it was not easy to find time to talk to Tony and Sally, as they were constantly talking to customers, either on the phone or in person. Open seven days a week, Goods Landscaping & Water Deliveries is located at 26 Lewisham Scenic Drive, Lewisham, or call 0419 124 813. Or for the more internet savvy try www.goodswater.com.au or email at goodswaterdelivery@gmail.com. However you contact them, they will provide helpful and friendly service meeting your landscaping needs. Looking to get some water delivered? Goods Landscaping are proud to be supporting and selling this innovative Australian designed product range of long-lasting gardening edges and boxes. Wheather you are looking for a natural rusted look or galvanised steel we think you will love Straight Curve’s products. 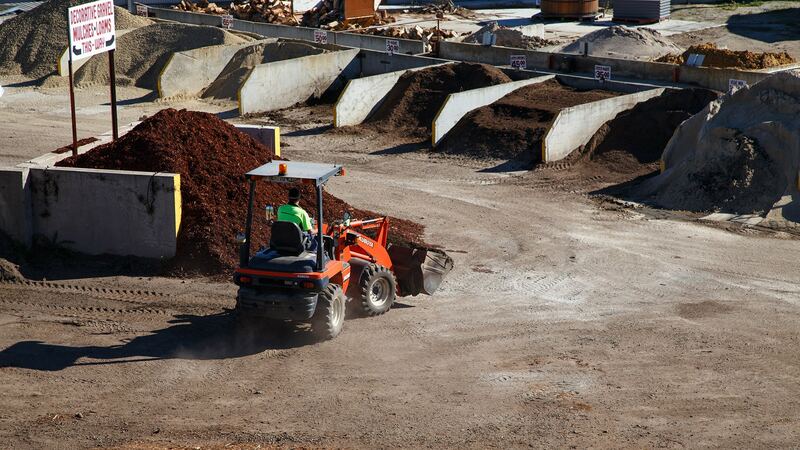 Located in Southern Tasmania near Hobart, and just 10 minutes from Sorell, Goods Landscaping & Water Deliveries offer a range of landscaping and garden supplies 7 days a week. If you can't come to us, our trucks will deliver to you. Our yard has the following open hours. Copyright © 2018 Goods Landscaping & Water Deliveries - Website by AIC Technologies.